When Jessie found out she was going to the University of Maryland after her 2011 high school graduation, her dad saw what he thought was a great investment opportunity. He recently inherited a sum of money from his parents and decided using it to invest in real estate would be a safe bet. His idea was to buy a three bedroom house in College Park and have Jessie live in one room while renting out the other two rooms. Jessie wanted to live in the dorms where most other freshman lived but after some convincing from her parents, she agreed to live in and help manage the house. Her dad was excited. Not being a landlord or a homeowner previously- he had no idea what he was getting himself into. They were able to close on a home in August, which actually had four bedrooms, just in time for Jessie to move in and find some roommates. After two semesters of homeowning and landlording nightmares- including late payments, parties, and damage to the house- they decided that the house was not such a great investment. Jessie’s parents ended up putting all of their revenue from tenants right back into the house and actually had to dip into their savings to deal with house related issues. While studying for exams at the close of the spring semester, Jessie was very distracted because of issues with her latest roommates who had not yet paid that month’s rent. She googled “How to deal with bad tenants” and found a few good websites and blogs. But what was more interesting was an ad on google which read “We Buy Houses Fast for Cash!” They never considered selling the house before but after overcoming some initial skepticism, Jessie decided to call the number on the ad, just to see what the offer would be. So she dialed the number for 4 Brothers Buy Houses and spoke with Jon. After describing the house over the phone, Jon was able to give her a ballpark offer on the house. Even though he mentioned the number might rise or fall after a home inspection, Jessie went to her parents with the idea. Her dad was surprised that Jessie even considered such a strange advertisement, but after hearing the cash offer, decided to speak with Jon himself. After a short conversation in which Jon explained that 4 Brothers Buy Houses would buy the house quickly for cash, pay all closing costs, and takeover tenant management, Jessie’s dad decided to go for it. A short ten days later, they closed on the sale and Jessie moved home for the summer. Real estate investing can be tricky and many people jump in too quickly. If you are managing or living with bad tenants and don’t know what to do, consider calling 4 Brothers Buy Houses. You never know, we might be able to offer more than you would expect. According to NBC News, there are over 22 million homeowners in the United States that currently cannot sell their homes without having to pay deficiencies or come out of pocket to pay closing inventories. While the economy in Washington DC is certainly better than most areas nationwide, there are still distressed property owners who are looking to sell their houses fast in Washington DC, but cannot afford to come out of pocket to pay. 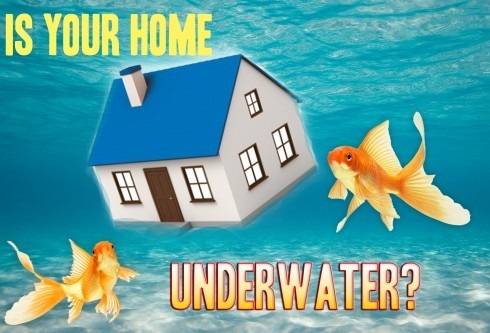 An underwater home can be described as when a mortgage is greater than the value of the house, even if you have a small percentage of equity, it may not be enough to pay the closing costs. If you are considering a short sale, there could be drawbacks that your need to be aware of. For your own protection, all property owners should seek legal advice from a competent real-estate lawyer. Get in touch with your financial intermediary and request to speak with the “Loss Mitigation Department” of the bank. It is likely that the bank will be very firm at first and may be hard to deal with, but be direct, to the point and they will loosen up and prepare to deal with your situation. Your financial intermediary will want to see how much money they are going to net with your offer. Providing them with a Net Sheet with your offer will provide the bank with all the details and numbers they need to see. It is best practice to be open and honest when it comes to your financial situation and disclosed assets. Lenders will request to know if you have items such as money market accounts, negotiable instruments, stocks or bonds, cash or other property or assets of tangible value. Essentially lenders require assurance that the debtor cannot repay any of the debt that it is forgiving. Present your statements to your bank and be advised that if your statements show unaccountable large deposits or withdrawals it’s a good idea to explain each of these line items to the lender. The lender will require a copy of the listing agreement and a fully execute offer accepted by the seller. Be prepared that the bank will most likely negotiate all fees, home protection policy, etc. When you originally purchased your home, you most definitely did not picture yourself in this situation. Unforeseen circumstances, such as a unemployment, readjusting mortgage rates and illness to name a few examples, can put you in such an undesirable position you never imagined. It is never more important that you look at all your available options, including bankruptcy, foreclosure and the short sale before you select the one that will work best for you. At Capitol Home Buyers we are LOCAL buyers looking for homes in the DC area and are prepared to make you an offer today on your home. Get in touch with us today for a quote on your home in 24 hours. Over the last year, our friends over at UrbanTurf has been investigating and publishing some statistics that help provide us with a clearer picture of the current state of the area housing market for our readers in DC. This week we are taking a look at the fastest zip codes for selling a house in the DC area in 2013. We are also going to provide some information of the number of days on the market to give our readers an insight as to how quick you are likely to sell your house in each of these areas. Take a look at the study results below that will give you some information on the six fastest selling zip codes and the five slowest selling zips in the region for 2013. Of course, when you sell your house to 4 Brothers Buy Houses you don’t have to wait to sell your house. You pick the closing date that works for you and we close on YOUR schedule. We at 4 Brothers Buy Houses are specialists in buying homes in the Maryland, Arlington and DC metro areas, so if you are having difficulty in selling you home fast, please get in touch with us and we can help you through this process. In 2007 Peter’s grandfather passed away, leaving Peter his three bedroom home in Hyattsville, Maryland when Peter was just a Junior in High school. Peter had no use for the house he had inherited at that time, and didn’t know what to do with it, so he ended up not doing anything with it. It sat vacant while he finished high school, completed college, and started work for an accounting firm based out of Silver Spring MD. In total the house had sat empty since Peter inherited it- for a total of 7 years. In 2013, Peter proposed to his long time girlfriend whom he had met in college. As Peter and his fiancé started to plan for the wedding and decide where they were going to live once they got married, the house he had inherited came to mind again. He’d done nothing with it for all this time, and the couple of times he’d visited it was pretty appalled by how much maintenance it needed. He wasn’t sure what to do with it, but knew that the cash from selling the house could be useful for what he knew was going to be a pretty expensive wedding and honeymoon. He was also excited by the idea of using the funds from selling the house for the down payment on a new house for him and his new wife- they were hoping to buy a small single family detached house in Arlington, VA. So Peter decided it was finally time to sell his grandfather’s old house, but the house was in awful shape. 7 years of sitting vacant had really taken a toll on the house. The roof had started leaking and caused a huge mold problem in the main floor and basement. The yard was completely overgrown and all the appliances were original from when his grandfather bought the house in 1972. Peter wanted to sell the house but he knew that it would be almost impossible to find a normal retail buyer who would want to take on what he figured was going to probably be a complete gut renovation. He showed a couple of Realtors the house and they weren’t interested in listing something that showed that badly and had such a significant mold problem. Peter had gotten a few yellow letters over the years about the house, and the one he got most recently he decided to call to see what an investor would pay him for the house. He had seen these types of things before and was sure that either a) This was a scam or b) This company would lowball him and refuse to negotiate a fair deal. However, urged on by his fiancé, he decided it was worth it to give them a call, just to see what they would offer. He spoke with Jon, who offered him a cash deal. It was for more than the lowball offer Peter expected, but a little less than he wanted to get for the house. After Jon explained how he would take the house “as-is” and pay the closing costs, Peter realized that the offer was more than fair, especially since the deal would close in less than a week and he could finally be done with it. To the relief of his fiancé, Peter and Jon closed out the deal 12 days after their first phone call. The cash they made off the deal completely paid for their wedding, made a significant dent in Peter’s college loans, and provided them with enough left over for a down payment on a 3 bedroom Colonial style house in Shirlington, VA. If you have a house that you need to get rid of but don’t think will sell in the retail market, consider contacting 4BrothersBuyHouses to see if we can come to some kind of agreement to help you like we helped Peter and his fiancé.